See scan - perfect condition. 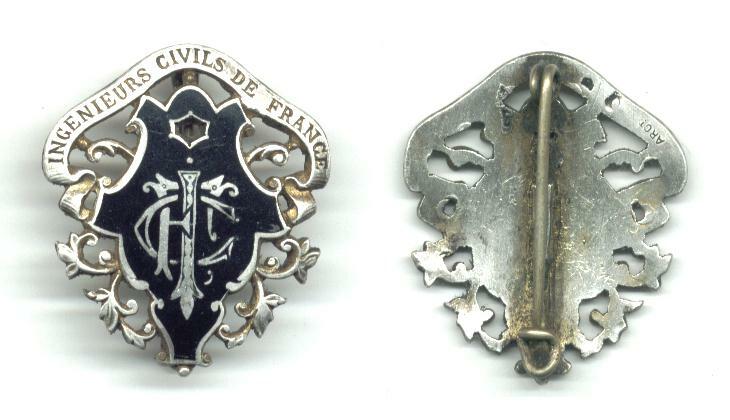 This is a scarce French Art Noveau / Secession fashion style sterling silver badge of a member of the Association of the French Civil Engineers - also Architects. The text on top says INGENIEURS CIVILS DE FRANCE. There is also a monogram cypher of the organization in a great black enamel work. The badge is marked with a sterling silver hallmark at its reverse. Most likely the famous Eiffel who constructed the Eiffel tower also had and has been wearing the same type of badge... Very nice and scarce collector piece and one of the nice French badges.